The end of the school year is coming soon and I'm sure many of you are looking for teacher appreciation gift ideas. 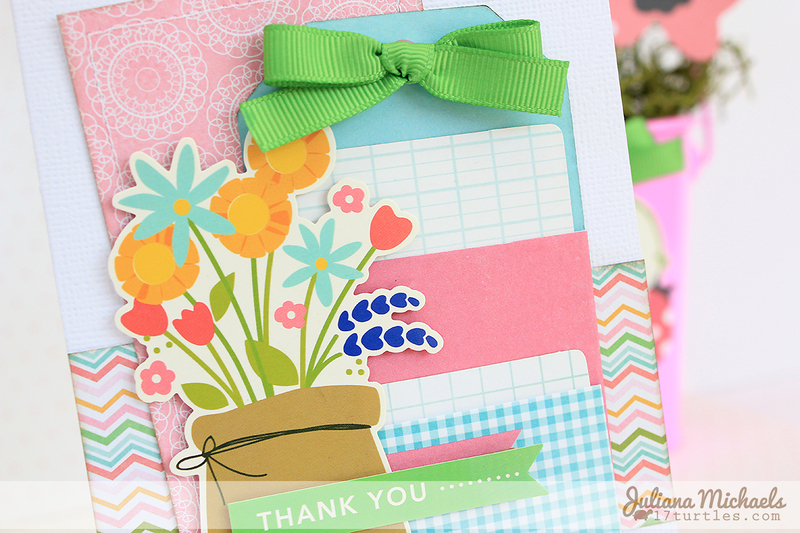 Today I have the perfect gift idea - a bucket of blossoms that will last all year long and a coordinating Thank You card that would easily hold a gift card. I used the Pebbles Garden Party collection to create both of them. Make sure you head over to the Pebbles blog to see my Bloom and Grow Teacher Appreciation Gift. You can see a little peek of it behind my card. For my Thank You card, I used one of the Garden Party Pockets and Inserts. They are the cutest tags with pockets and inserts that you can remove and use for journaling, etc. I thought it would be fun to remove the larger one and replace it with a gift card! I also wanted to share that I am the May Guest Designer for Scrap Africa! They are a challenge blog that showcases and celebrates the creative talent in Southern Africa, however they love for everyone from everywhere to play along with their monthly sketches and challenges. Here is a peek of the scrapbook page I created using their amazing May sketch and BoBunny's Modern Miss collection. I'd love for you to visit the Scrap Africa blog to see the sketch that inspired me and my scrapbook page! Huge congrats on the GDT!! SA is an awesome place!!! LOVING your card! GORGEOUS colors!!!!! 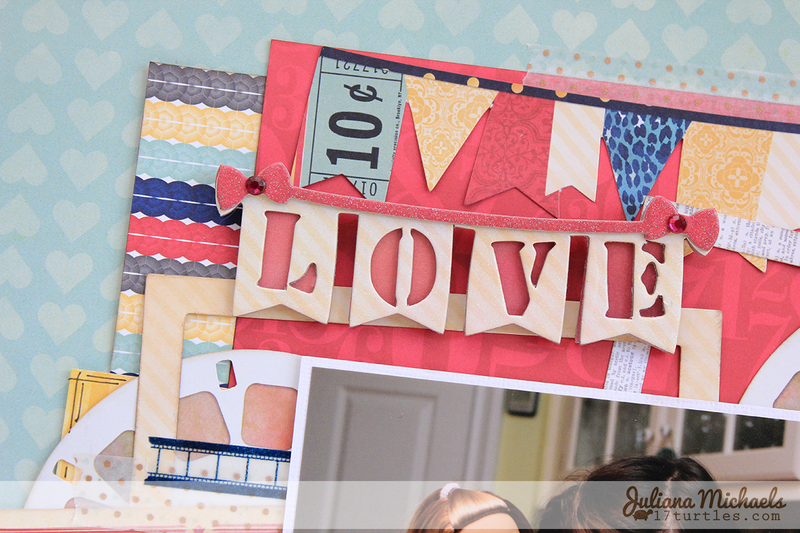 Love the cute layers on your card, Juliana!